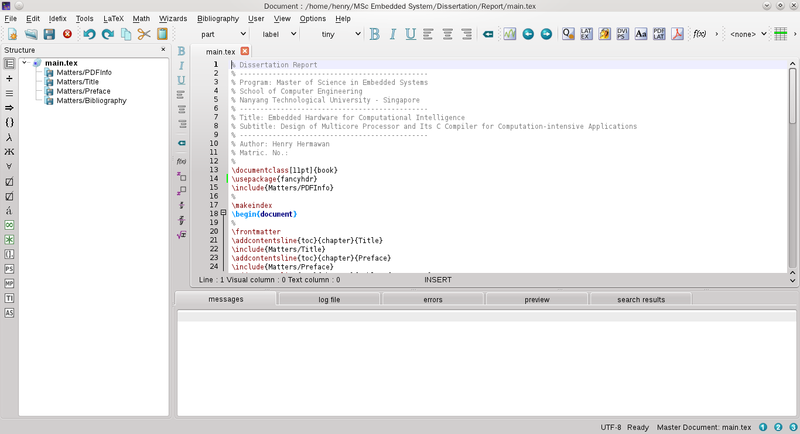 Today, I have upgraded TeXstudio (formerly TexMakerX) from 2.1 to 2.2 release version (released on 2011-07-20). I need this LaTeX Editor for writing my dissertation report. For the new features, release notes, screenshots, etc., please refer to its website. I downloaded the source code from this link. 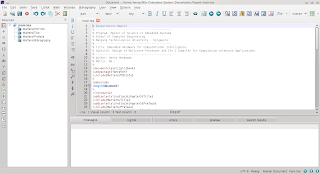 It needs Qt (at least 4.3), libpoppler, and TeX packages (don't worry, they can be found in l (or deps for Qt if you are using Eric's KDE compilation packages) and t directory for Slackware/64) for compilation. It should be no problem in compilation. Enjoy your TeXstudio!